This soft lambskin leather headband measures 1 3/4" in width and tapers at the ends for ultimate comfort. 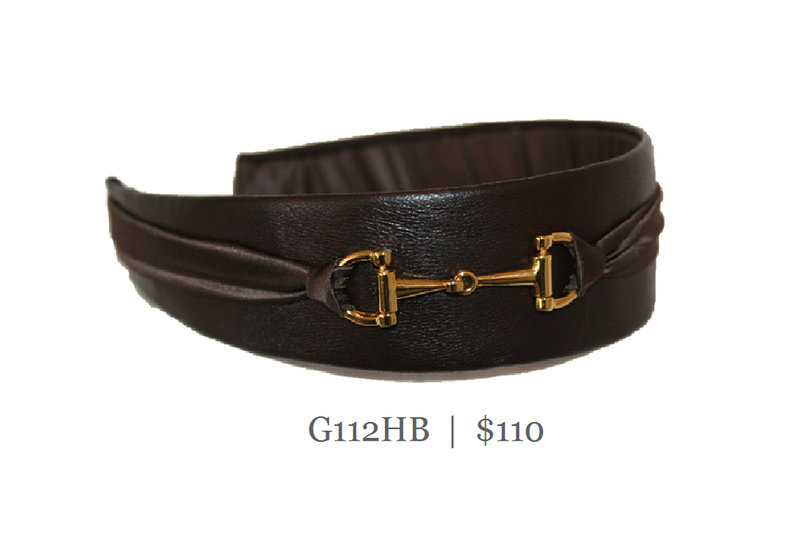 Adorned with a gold horse bit buckle and matching silk. Shipped in this padded pouch for safe keeping.